Taken 03/03/19 at Swindon's STEAM Museum and not the best of photos as No. 2516 is slightly hemmed in and the tender is pulled back, allowing the footplate to be used as an interactive exhibit (if that is the correct term). Based on the number of school parties visiting whilst I was there I assume STEAM has done well to align its exhibits into the National Curriculum and would add that the children I saw were remarkably well behaved. The Dean Goods have a long and interesting history. The design dates from 1897 and was the first instance of the GWR using inside frames. Swindon built 260 examples and the type saw use in both World Wars. In 1917, 62 engines were taken over by the Railway Operating Division and sent to France. Most of these engines returned to England after the war, but 16 were sent to Salonika. Of these 16, two were sold to Ottoman railways and one survived until the 1950s. The remining 14 locos in Salonika were either scrapped or returned to the UK 1921. In the Second World War, the War Department in total requisitioned a 108 of these engines, including some examples that had been used in WW1. As consequence the GWR recommissioned some examples that were stored for scrap. Given my niche interest in the K&ESR, it is inevitable that I will highlight that three of the WD locos were used on the line between 1941 and 1943 when rail mounted rocket guns were stationed at Rolvenden and Wittersham. However, that is but a snippet in reality as many of these engines were shipped to France. Some of the engines were destroyed in the retreat to Dunkirk whilst the remainder were used on the French railways by the German occupation forces. After the war some of the WD engines were sent to China under UNRRA auspices, and 30 were returned to the UK, but were deemed unfit for service and scrapped. Two locos were used in Silesia and then Austria until 1948. Of the engines that remained in England, most of them worked at War Department and Ordnance depots around the country, though in 1943, six were shipped to Tunisia and thence to Italy. At Nationalisation in 1948, 54 locomotives of this at times far flung class were still in service in the UK with the GWR and passed to British Railways. These were mostly used on Welsh branch lines due to their light axle loads and in due course were progressively replaced by new BR Standard Class 2 2-6-0 engines, with no 2538 was the last to be withdrawn in May 1957. No. 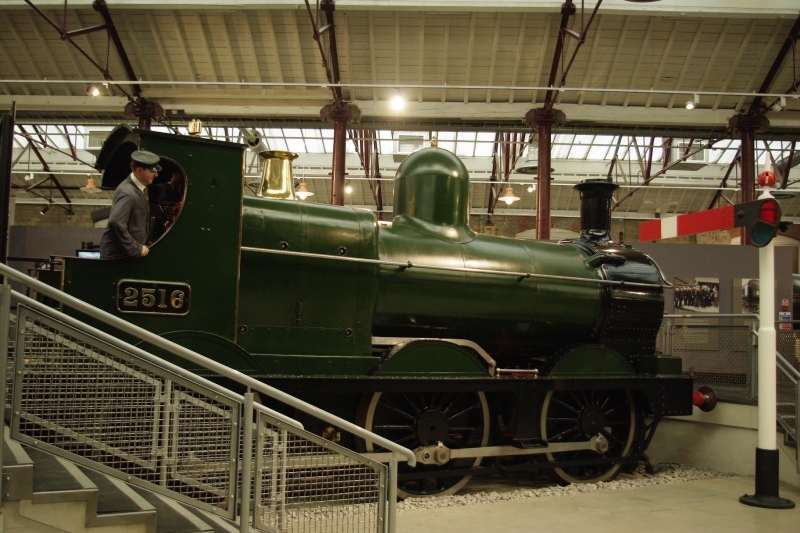 2516 was preserved and is now displayed at STEAM.